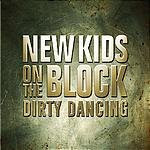 NKOTB News: Updates on German Dirty Dancing single, and what will be the next single after Dirty Dancing? Updates on German Dirty Dancing single, and what will be the next single after Dirty Dancing? The German version of the "Dirty Dancing" single comes with a poster (It'll be released on Dec. 19th)! I ordered the German superfan pack from the German Amazon.com website. Should be getting it right around Christmas. Can't wait!